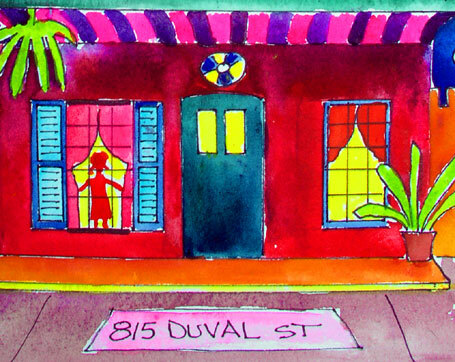 All the fun and games on Duval Street! 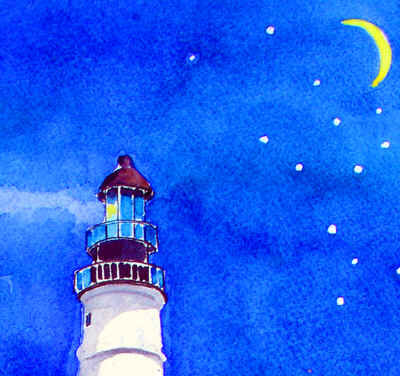 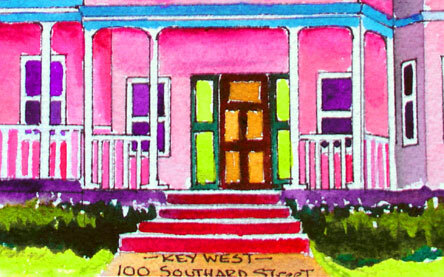 Southernmost Hotel, Hemingway House, Blue Heaven, KW Lighthouse, Truman Annex! 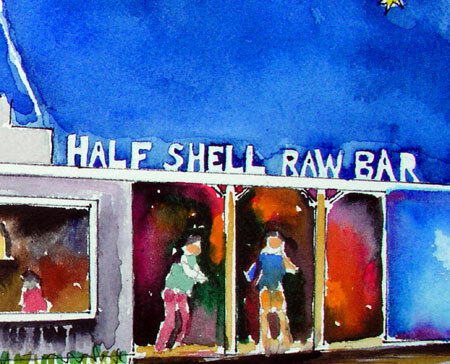 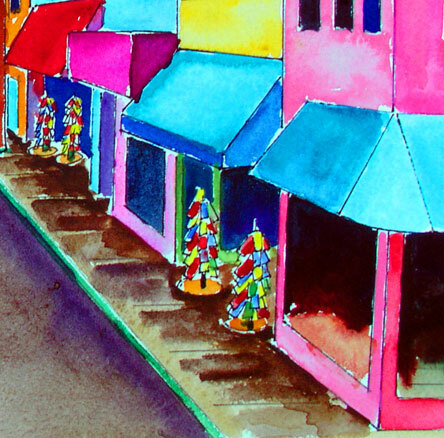 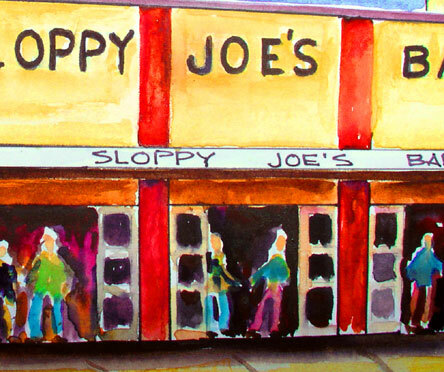 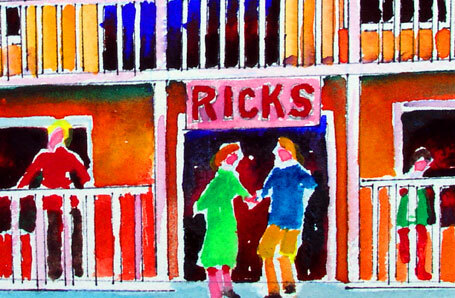 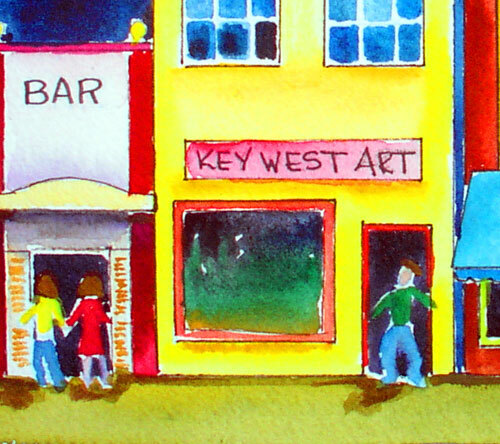 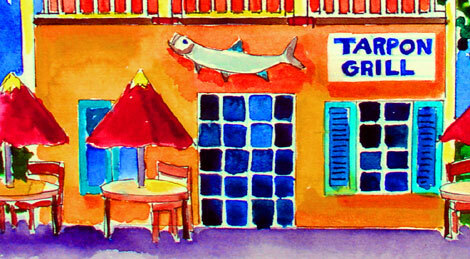 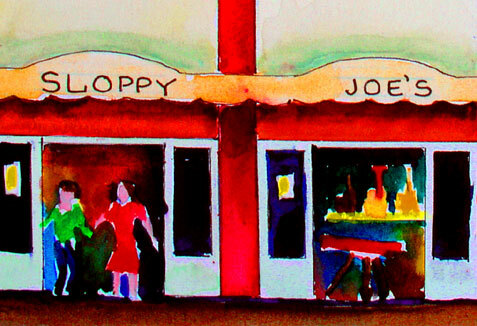 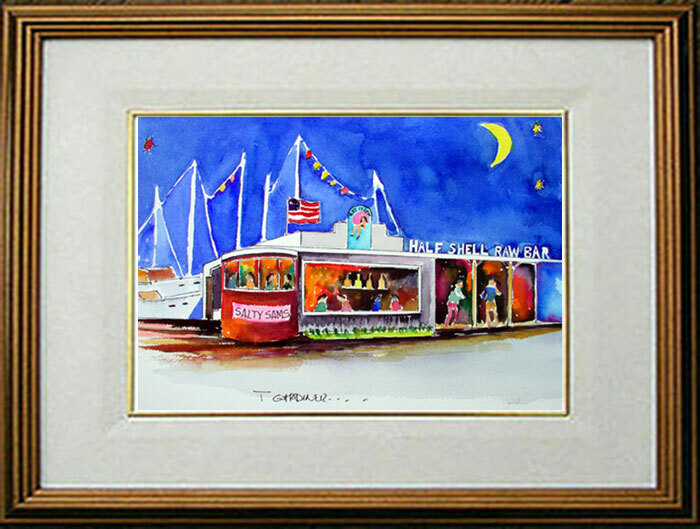 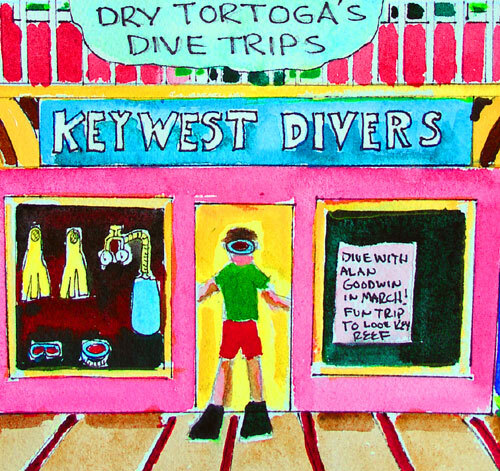 "Key West Charm close up"
"Key West Divers close up"
"Mallory and dockside clubs, Key West"
Original Watercolor 30" X 40" painting. 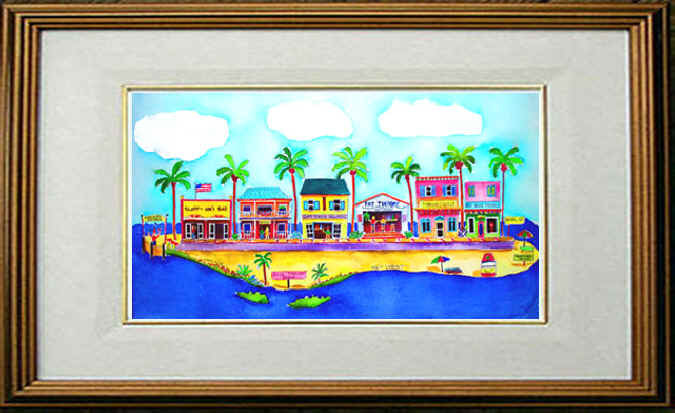 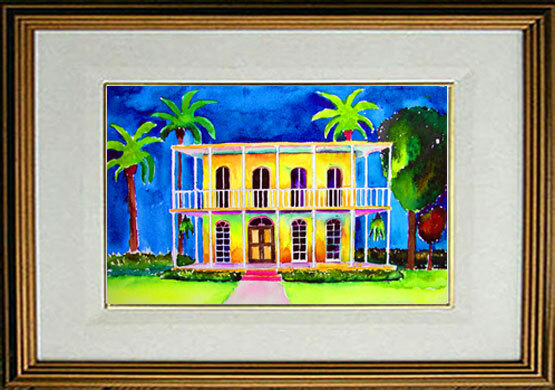 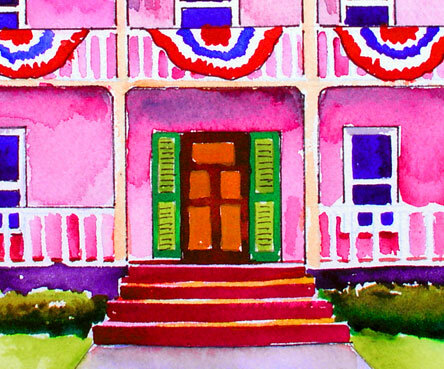 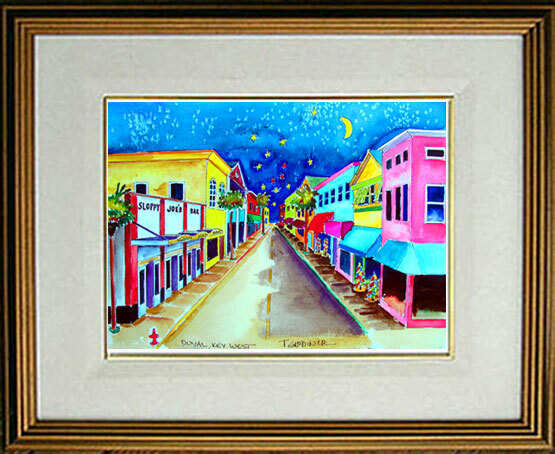 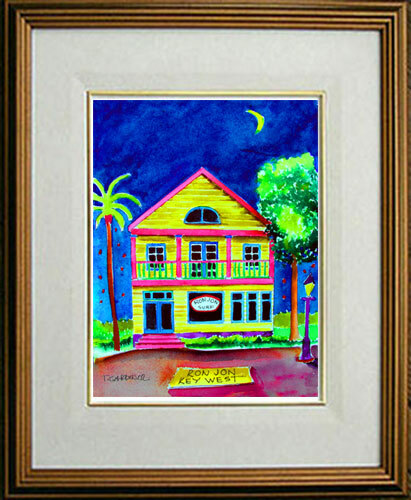 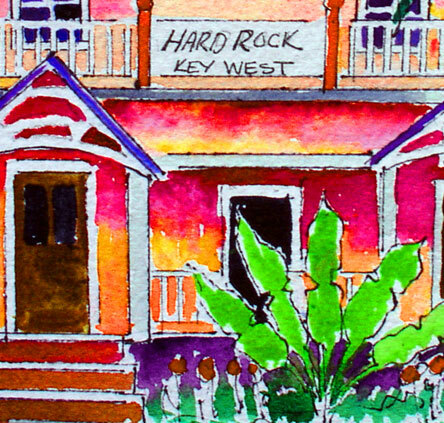 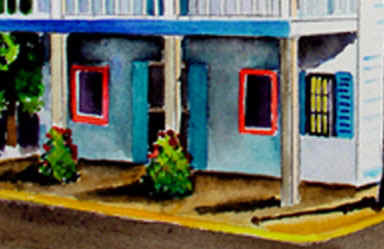 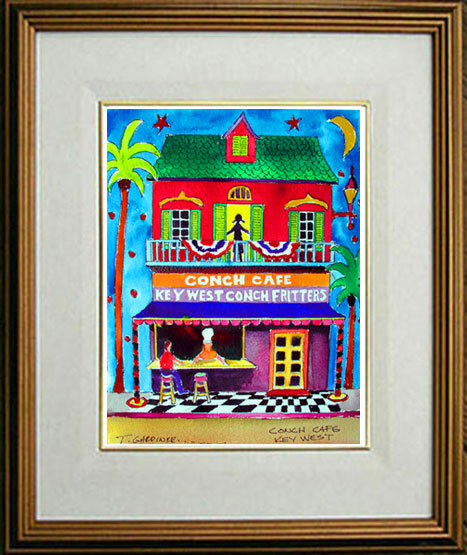 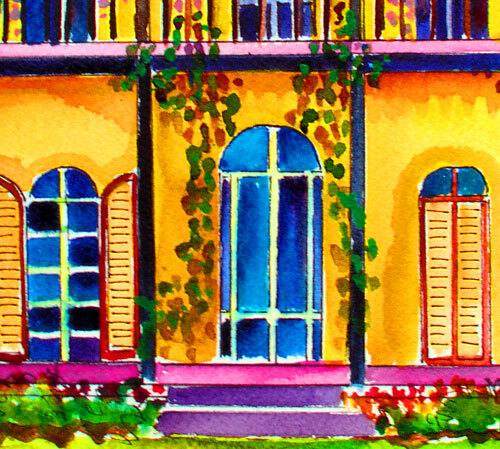 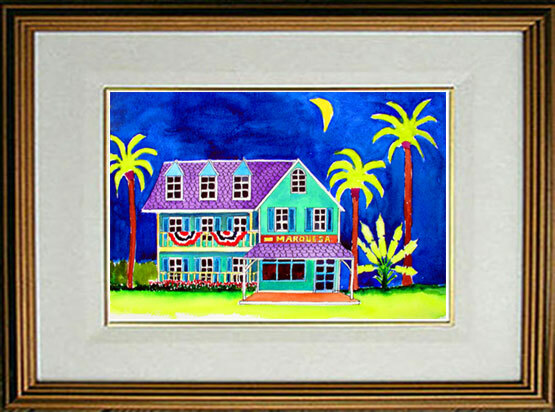 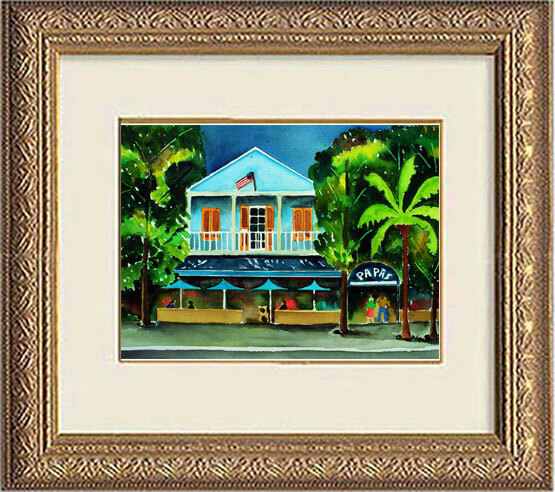 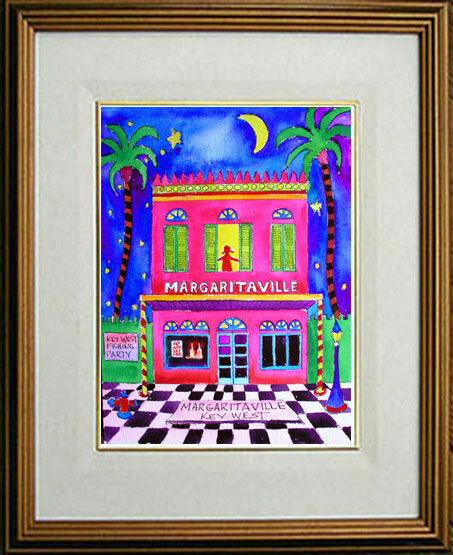 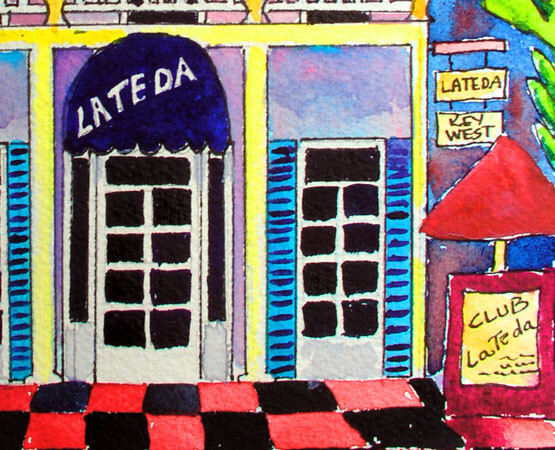 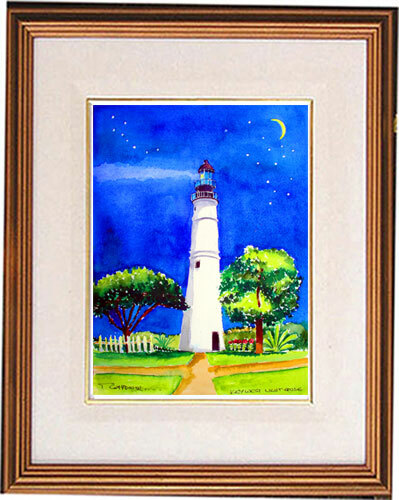 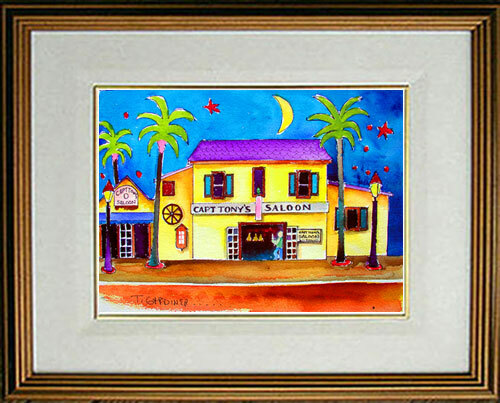 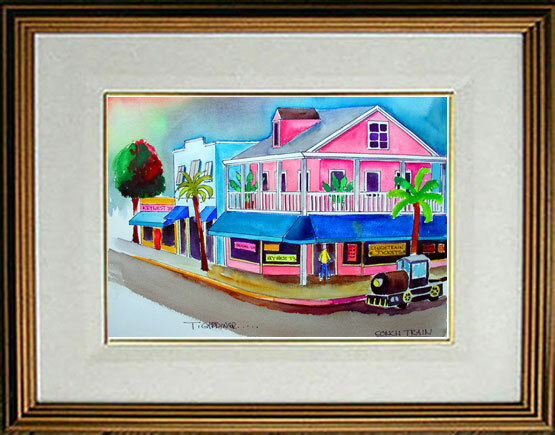 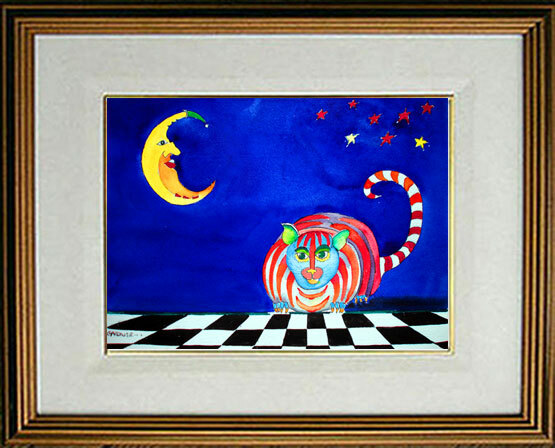 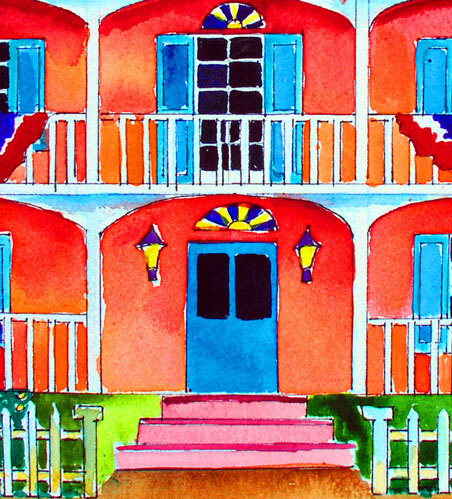 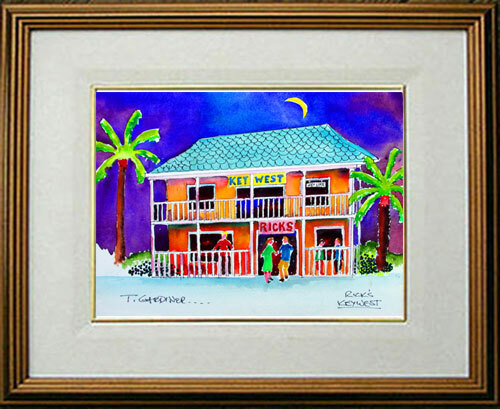 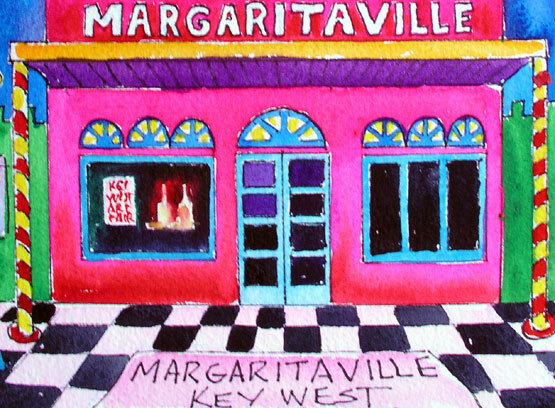 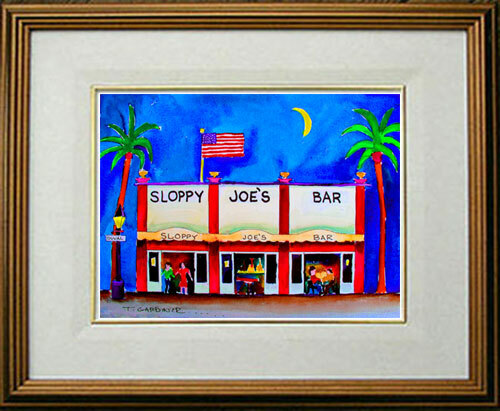 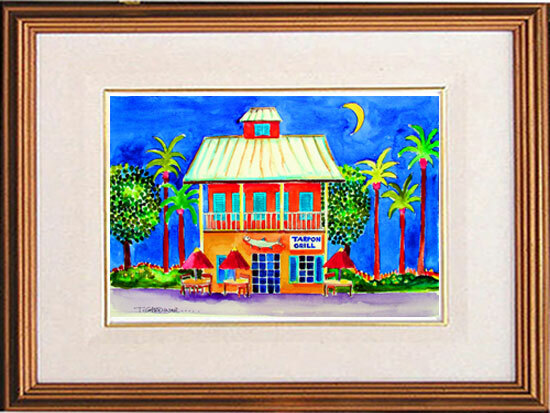 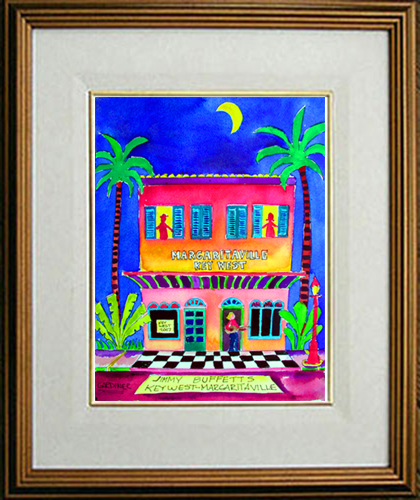 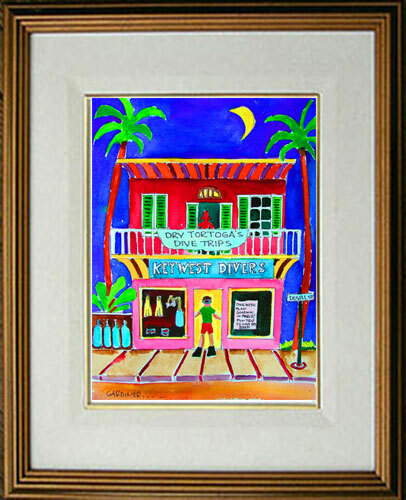 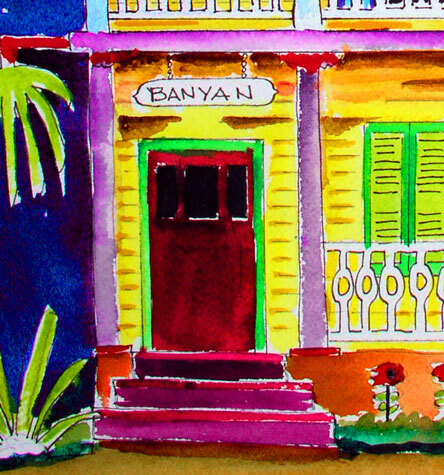 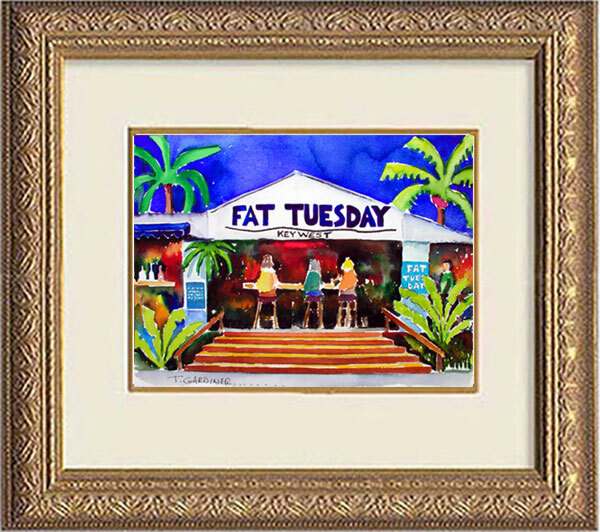 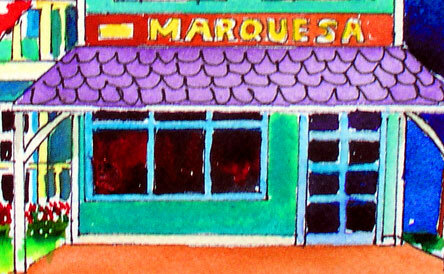 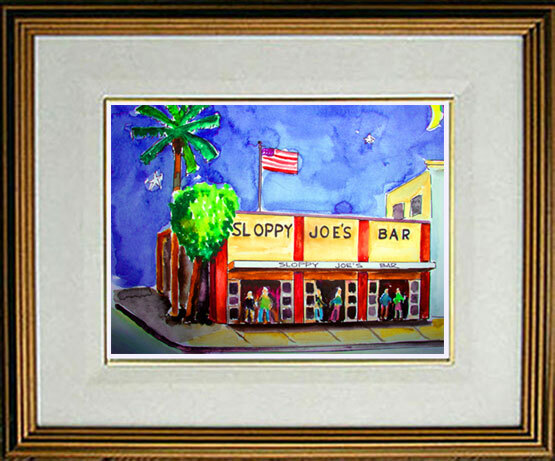 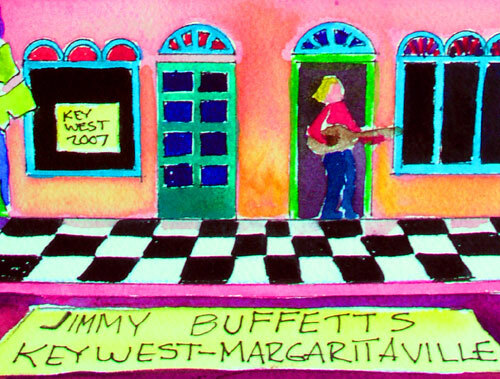 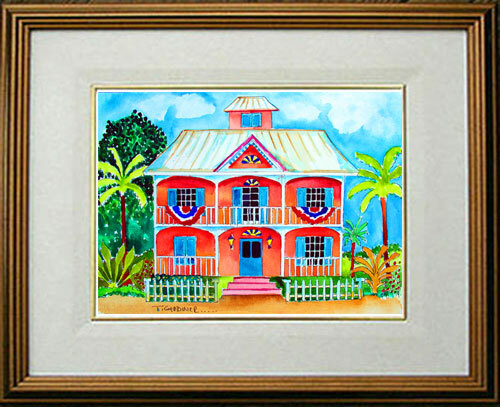 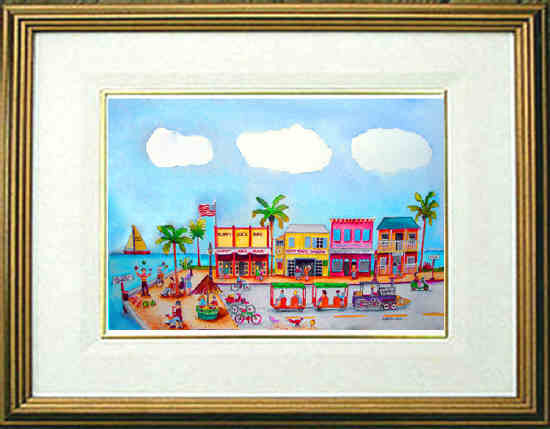 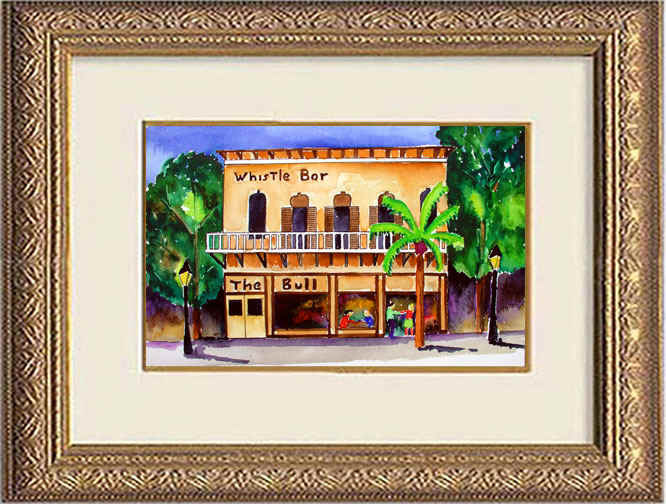 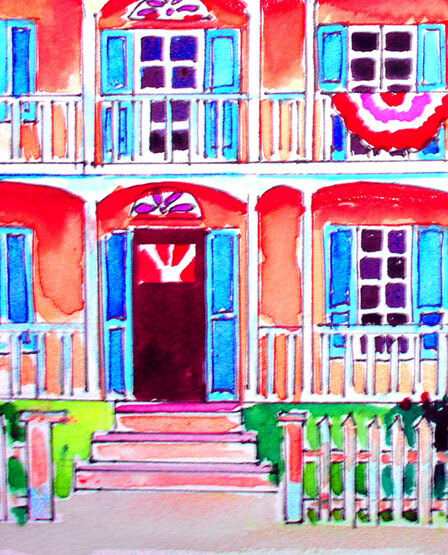 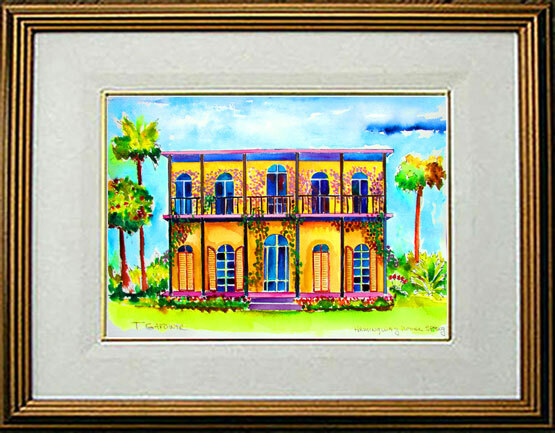 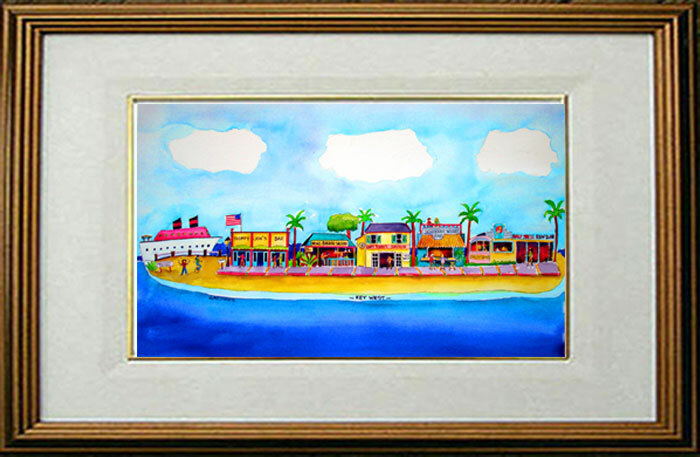 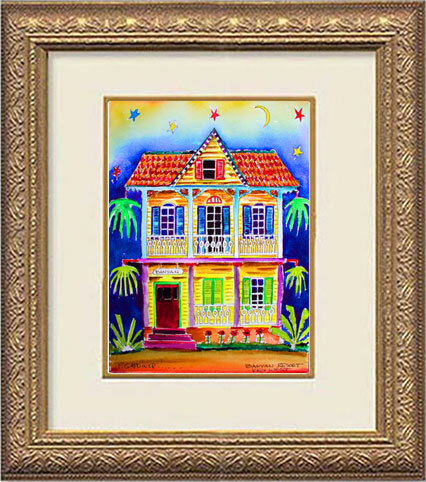 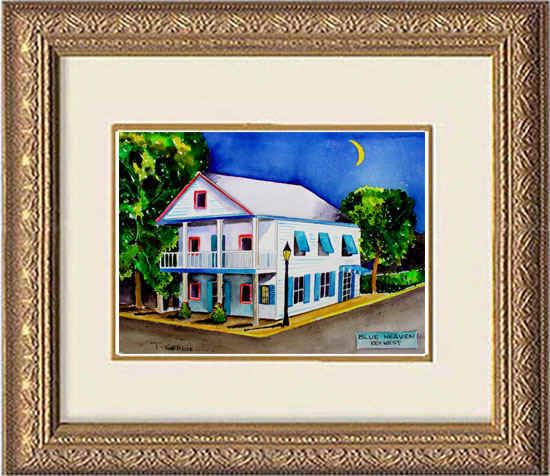 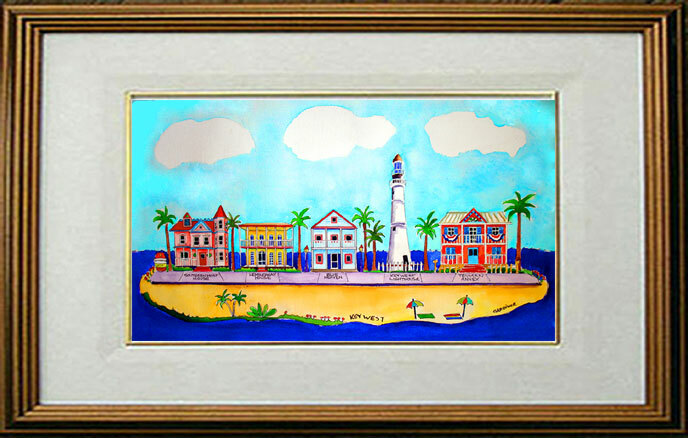 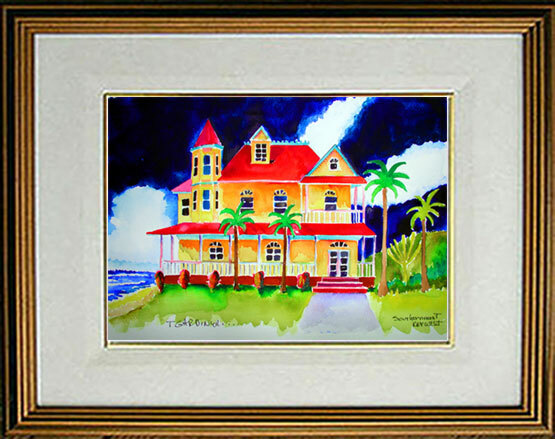 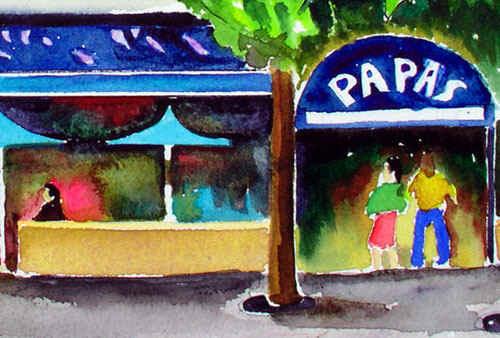 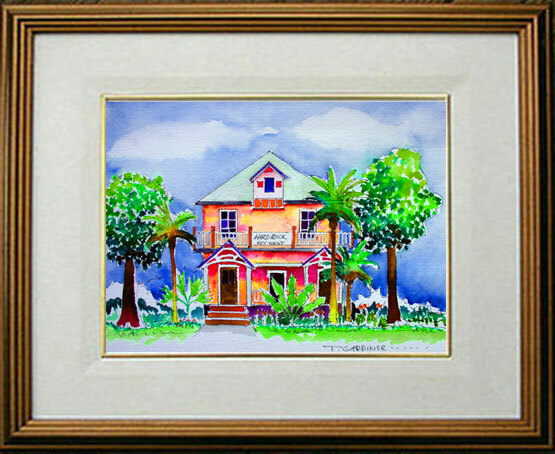 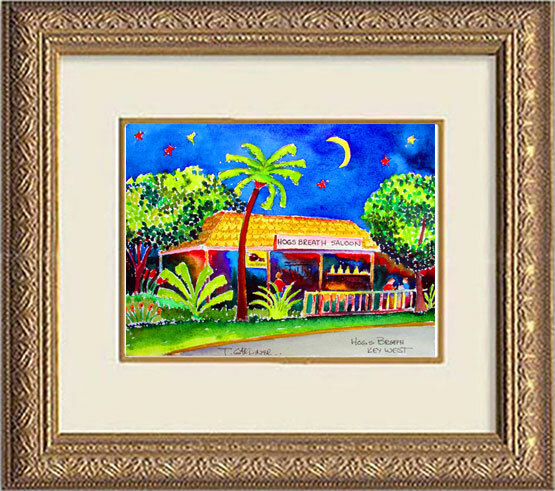 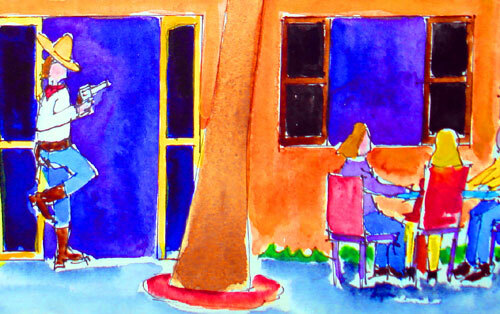 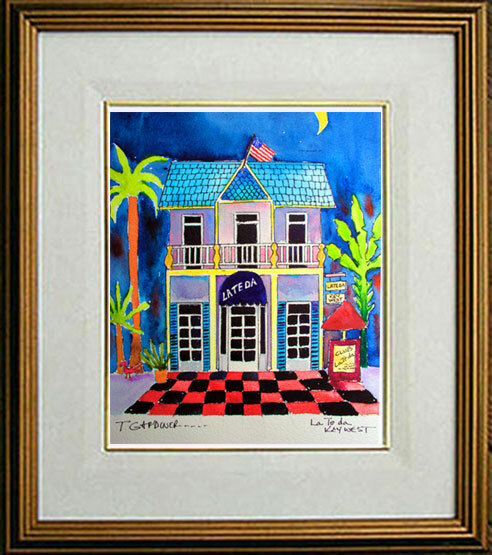 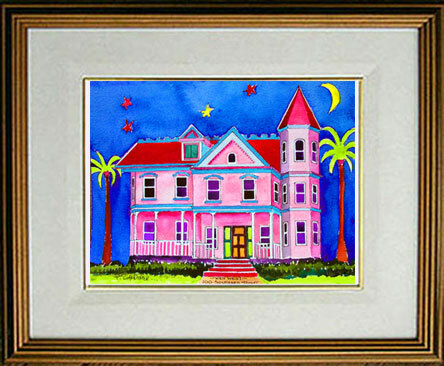 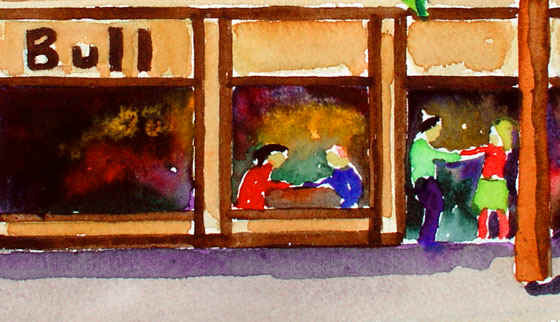 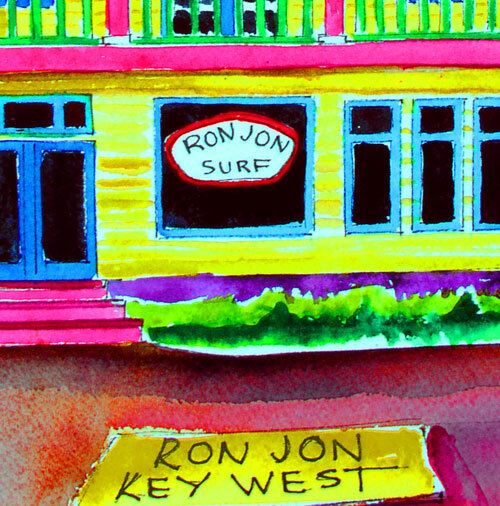 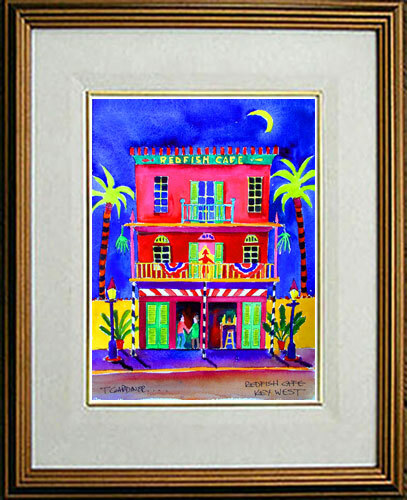 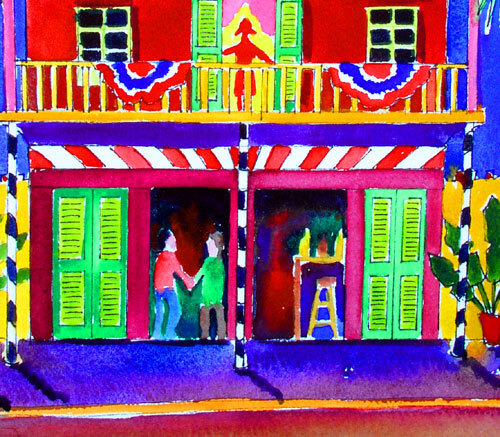 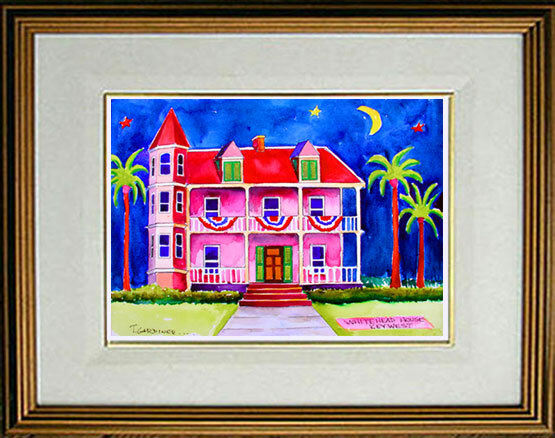 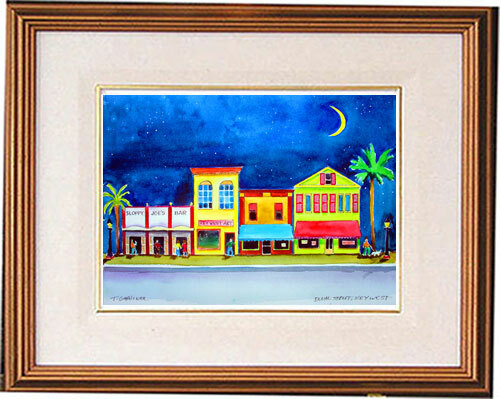 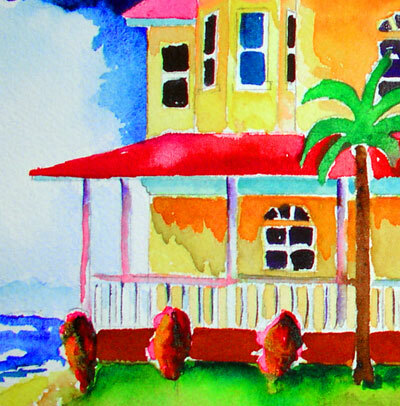 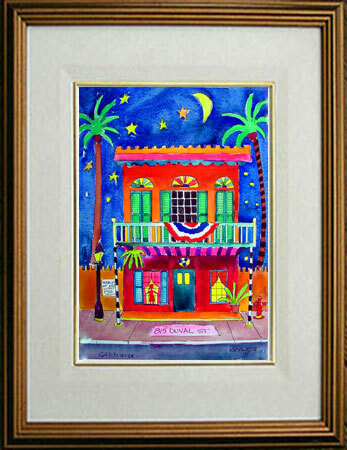 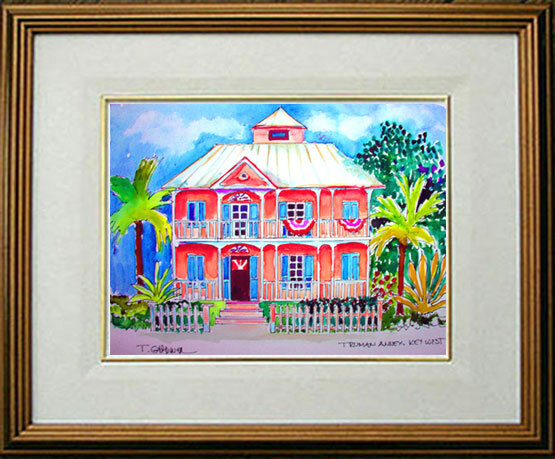 "Hemingway House Spring, Key West"
"Conch Cafe Duval Street, Key West"
"Marquesa Hotel , Key West"
"Club La Te Da, Key West"
"La Te Da close up"
"The Southernmost House, Key West"
"The Banyan House, Key West"
"The Hogs Breath Saloon close up"
Original Watercolor 14" X 10" painting. 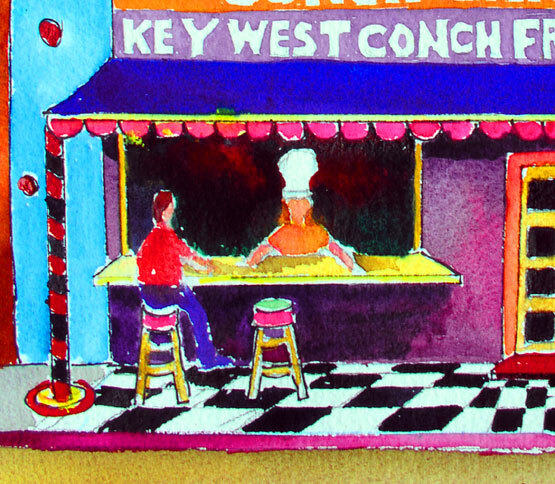 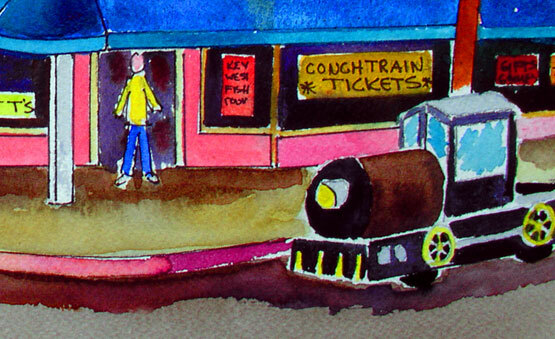 "The Bull and Whistle, Key West"
"Bull and Whistle close up"
"Sloppy Joe's Bar, Key West"
"Blue Heaven Restaurant, Key West"
"The Blue Heaven close up"
"Truman Annex Mansion, Key West"
"The Truman Annex Mansion close up"
Conch Train Station, Key West"
"Conch Train Station close up"
"100 Southard House, Key West"
"Ron Jon Surf Shop, Key West"
"815 Duval Street close up"
"Capt. 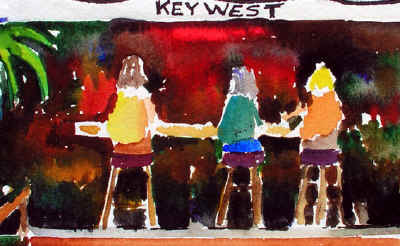 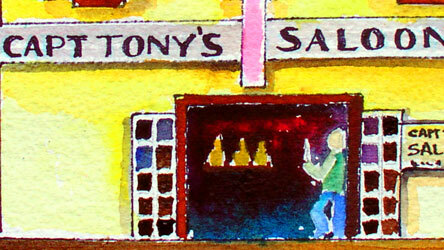 Tony's Saloon, Key West"
"Capt Tony's Saloon close up"
"Half Shell Raw Bar, Key West"